Mobile application development (like android application development) is on the rise with mobile apps being in high demand. Just about everything that you can imagine has an app for it. There are mobiles apps available for just about every feature and service and information. There are a large number of smartphones with more number of consumers now buying them. In addition to which a greater percentage of the mobile phone users are now using the internet on their mobile phones to run their mobiles apps or directly access the internet via their mobile browsers. A large number of app used by the mobile users are free. There are a few which are not, but do not cost the earth. However, the apps are often developed such that although they initially do not cost money but require payment for using the advanced features of the app. The number of mobile users worldwide in 2007 was 400 Million and desktop users was 1100 Million. The process of developing an app can get quite complicated since a set number of steps need to be followed to make sure that the app being developed lives up to expectations and is tested under every conditions. In order to develop a mobile app it is necessary to have a clear picture of the requirements and define the main purpose of the app. By clearly defining the scope and boundaries of the app you can get a better idea on the effort required and even obtain an exact quote of your requirements. The next step into the development of a mobile app is the design and layout. There are many kinds of mobile apps, some are graphics intensive and others barely require any custom graphics. This is one factor that can affect the cost drastically and hence needs to be taken into consideration. No matter what the graphics requirements is the design or layout of the app will also affect cost depending on how complicated the design is. Last but not lest the type of app will also dictate the cost. For example the mobile app can be a utility app, a productivity app or an immersive app (include games and music apps). Alakmalak is one of the few web development firms in the country which have completed more than 2006 successful projects in their first 10 years. Besides being a mobile app development company they offer several other services like web development, digital marketing and hence are never short of any resources to complete the project. 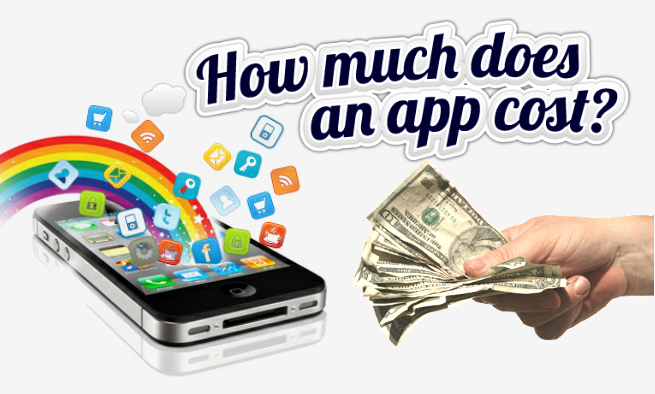 How much to develop a business app? Do iOS apps still have the upper edge over Android Apps ?